A universal "sticky" mount is included with the Accessport. For the best results, we recommend installing the mount vertically, and preparing the mounting surface with the included alcohol wipe. NOTE: It's important to note that not all surfaces provide a strong adhesive bond. NOTE: The Accessport cradle is compatible with "Dual T" style mounts. The Accessport comes with the most up-to-date software and map files available at the time of shipment. However, it is possible that updated software and/or map files have been made available since the time of shipment. Therefore, the recommended procedure is to connect the Accessport to the AP Manager software and download the latest firmware for the target vehicle. Please visit www.cobbtuning.com/apmanager to download AP Manager and to find a link for the AP Manager manual. If you have issues transferring maps or updating the Accessport while using USB 3.0 ports, please try using a USB 2.0 hub adapter. NOTE: The Accessport is preloaded with a default set of maps for all cars that it supports. This includes Stage1 (all octanes), Stage2 (all octanes), Anti-theft, Economy, and Valet. If you would like to view all maps available you can visit the Maps section of our website. IMPORTANT:For installation purposes, it is important to ensure that the vehicle's battery has adequate power for both the Accessport and the ECU. Because of this, it is recommended that all in-car electronics and vehicle lights are turned off during the installation process to reduce drain on the vehicle's battery. For improved safety during installation, a car battery charger can be connected to the vehicle during the installation process. Screenshots can be captured by holding down the [CANCEL] button for two seconds. Any stored screen captures can be retrieved by using Accessport Manager. 1. You will need the Accessport and OBD-II cable to perform the installation. Insert the key into the vehicle's ignition and leave it in the OFF position. 2. For Subaru models utilizing an AP3-SUB-001 or AP3-SUB-002 (*Not required for AP3-SUB-003*) Accessport, locate the Locate the green Test Mode connectors. Impreza and Forester models will have this located under the driver's side dash to the left of the steering column (see left diagram). The Legacy and Outback models will have this located on the passenger side (see right diagram). With the connectors located, enable Test Mode by plugging the two connectors into each other. To ensure Test Mode was successfully enabled, turn the key to the ON position, but do not start the engine. You may hear the radiator fans cycling on/off as well as the fuel pump cycling and the "Check Engine" light should blink. THIS IS A NORMAL FUNCTION OF TEST MODE. Once test mode is verified, turn the key back to the OFF position to continue. NOTE: The Test Mode connectors must be connected whenever reflashing the ECU (Installing, Change Map -> Reflash, and Uninstalling). NOTE: In the event that the vehicle does not enter Test Mode after plugging in the green connectors, refer to the Troubleshooting Section. 3. On 2002 - 2005 WRX models (AP3-SUB-001 Accessport), identify the correct Initialization Connector for your vehicle (2002 WRX = BLUE, 2003 - 2005 WRX = WHITE). Attach the Initialization Connector to the corresponding connector under the driver's side dash. This connector will be located near the green Test Mode connectors and will be translucent white in color. Do not proceed until this step is complete. 4. Locate the vehicle's OBD-II port. Location of the OBD-II port may vary depending on the vehicle model. 5. Plug the OBD-II cable into the OBD-II port under the dash of vehicle. Then connect the small end of the OBD-II cable to the port on the bottom of the Accessport. 6. Make sure the clasp on the OBD-II cable firmly engages with the port. 7. Turn the key to the ON position but do not start the vehicle. 8. Select [Install] from the Accessport menu by pressing the [OK] button to proceed with installation. The Accessport will attempt to automatically determine the target vehicle for installation. Verify that the identified vehicle is correct and press [OK] to confirm. If an error occurs, Please refer to the Troublshooting Section. After the Accessport identifies the vehicle, it will present a list of maps. Maps that are not intended for the identified vehicle are displayed in gray. The Accessport will reprogram the ECU with the calibration data from the map selected for installation. This will become the base data for the ECU. To ensure the best performance, select the map that most closely matches the modification level of the vehicle. If you are unsure about which map applies to your modification level, please visit the Maps section of our website. You can find map notes for each of our maps by clicking on your vehicle and choosing your intake type. The map notes will list the modification requirements for each of our maps. Select a map and press [OK] to proceed with the installation. If you wish to see a longer description for the highlighted map, press and hold the [OK] button on the desired map. After reading the description, you can press [CANCEL] to go back to the map list or press [OK] to select that map and proceed with the installation. The Accessport reprograms the tuning parameters inside the factory engine control unit (ECU) using map files, which contain specially written instructions for the Accessport to follow during the reprogramming process. A map file can contain information for any number of different modifications or enhancements to a vehicle, ranging from a race map for a heavily modified vehicle to an economy map for a stock vehicle. Through the use of the Accessport and different map files, the ECU can be reprogrammed to accommodate virtually any vehicle configuration. After confirming the map to be installed, the Accessport will download the current stock ECU program data from the vehicle. The Accessport saves this data for use during the uninstall process to ensure that the vehicle is completely returned to stock. The download process will take a few minutes to complete. Warning! If a previous installation of an Accessport is detected, you will be given the option to overwrite it with a new installation. Be aware that the previous installation will be permanently lost and unrecoverable. This detection may occur prior to saving the stock ECU program data, in which case the ECU program data will not be saved. In the case of a previous install, a stock ECU program supplied on the Accessport will be used when you uninstall. With the stock ECU data saved, the Accessport will automatically proceed with installation to the vehicle. At this point, the Accessport reprograms the vehicle's ECU with new program data and calibration parameters from the installation map file. This process will take several minutes to complete. Warning! Do not disturb the Accessport and the OBD-II connector while installation is taking place. Failure to do so may result in incomplete ECU reprogramming which will render the vehicle inoperable. If an error occurs during the reflash, the Accessport will enter Recovery Mode and attempt to recover the reflash. Follow all on-screen prompts on the Accessport to complete the installation process. If applicable, disconnect the Test Mode connectors (green) you connected in Step 2 and the Initialization Connector you connected in Step 3. These connectors MUST be disconnected before operating the vehicle. The Accessport is now fully installed and ready for use and the vehicle's ECU is programmed with new calibration data. The Accessport does not need to be plugged into the vehicle for the calibration to be in effect. You can disconnect the Accessport at this time or leave it plugged in to use any of the many features outlined below. Please note that the Accessport is designed to work with only one vehicle at a time. Once the Accessport is installed, it cannot be used with another vehicle until it is uninstalled from the original vehicle. NOTE: AP3-SUB-002 and AP3-SUB-003 cars will need to recalibrate the drive-by-wire throttle body system after a reflash or ECU reset. 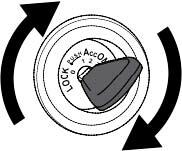 After a reflash, when you first turn the key to the ON position the throttle blade will open fully then return to a closed position. During these few seconds, the engine may not start. This is perfectly normal behavior. The engine will start when this process is done. The best way to proceed after a reflash or ECU reset is to turn the key to the ON position and count to 5 - 10 seconds before trying to start the engine. If you follow this simple procedure, the engine will fire up on the first try.